Genie articulating Z-booms provide the ultimate in versatility with up, out, and over positioning capabilities for hard-to-access work areas. Likewise, Genie telescopic S-booms are engineered to enhance working efficiency and offer greater horizontal outreach than any other type of aerial platform. And all of the booms can be customised with a variety of options and packages and are ideal for general construction and structural steel applications. Since its global launch in April 2016, businesses using the Hybrid fuel-electric Genie® Z™- 60/37 FE articulating boom lift have been able to cut costs and their carbon footprint while getting increased performance and versatility from their aerial work platforms. Youngman Richardson & Co Ltd has recently made the first delivery of three machines to Access Solutions as replacements for some larger booms. "New hybrid technology and other technical advances swung it their way," managing director, Michael Biddick, says. "This alone is a major plus for us and will add value to our Genie fleet. We have available for hire a number of Genie access products, which tells you how much confidence we have in the brand." Suitable for indoor and outdoor use, the Genie Z-60/37 FE is driven by high-efficiency AC motors and combines advanced diesel power and four-wheel-drive performance with the energy efficiency and quieter operation of compact, low-weight electric-powered booms. It can travel 25% faster than other typical diesel-powered units. "This class of machine would generally be designed for internal work, but this model will give our customers greater utilisation by being able to be used outside as well," Michael says. 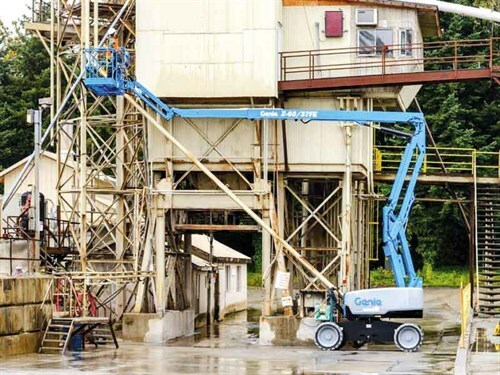 When operating in full-electric mode, the Genie Z-60/37 FE boom lift offers a full day of emission-free performance on a single charge, and in hybrid mode, it runs for more than a week on a single tank of diesel. In hybrid mode, an environmentally friendly 24hp diesel-powered generator constantly monitors the charge of the 48-volt DC battery pack, keeping it topped up and then automatically shutting off to minimise fuel consumption. In extreme battery usage conditions or after heavy full-electric operation, the hybrid power system can provide a bulk charge in around four hours.When an operator is climbing hills or taking on rugged terrain, the hybrid system can provide power directly to the AC motors, combining the power of the diesel-driven generator and the 48-volt DC battery pack. On long-term jobs, even when on-site power is not available, this machine is versatile enough to handle tasks ranging from work on rough and unprepared ground to indoor applications where it’s important to keep noise and emissions to a minimum. The model is extremely cost-efficient and provides high rental returns for general construction and industrial applications, such as sports arenas, shopping malls, and convention centres. It’s just the kind of machine to be the first on the job site and the last off—exactly what rental customers are looking for to improve their profitability." The Z-60/37 FE boom lift shares the robust quality and rough terrain performance that make the Genie Z-62/40 and S-60 boom lifts popular. The Z-60/37 FE boom also offers the advantage of being sufficiently lightweight and compact to handle tasks in confined spaces. The Z-60/37 FE boom lift is equipped with foam-filled, non-marking all-terrain tyres, adding to the machine’s versatility for outdoor and indoor uses. It offers 45% gradeability and ground clearance of 33cm as well as being able to travel 25% faster than other typical diesel-powered units. Operators will also appreciate full-time active oscillating axles that increase wheel contact on irregular terrain and its fully sealed AC motors that operate even while submerged under 91cm of water. The Genie FastMast™ system enables the boom to be moved from full height to below grade and back, shortening ground-to-top lifting time with the use of just one boom control. Like all Genie booms, it enables operators to track walls vertically by simply raising or lowering the secondary boom without needing to reposition the machine. The new Genie SX-135XC self-propelled telescopic boom lift delivers incredible industry-leading outreach and capacity. The Genie SX-135XC boom lift is the first model in the new Genie Xtra Capacity (XC) family and is packed with features, including 27.43 metres of outreach, 300kg unrestricted lift capacity, the ability to work six metres below grade, and a 3.94 metres x 4.11 metres compact footprint. 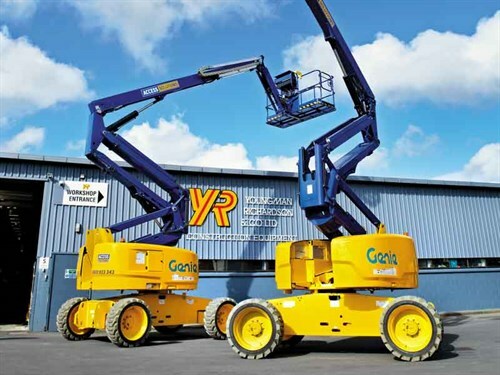 "With three metres of more outreach and 32% more capacity than a typical self-propelled boom of this size, the Genie SX-135XC boom lift is ideal for rental and structural steel customers working on challenging job site applications," Youngman Richardson & Co Ltd sales director, Phil Fairfield, says. "Thanks to its unique up-and-over style capability, this model is easily able to navigate obstacles at height." 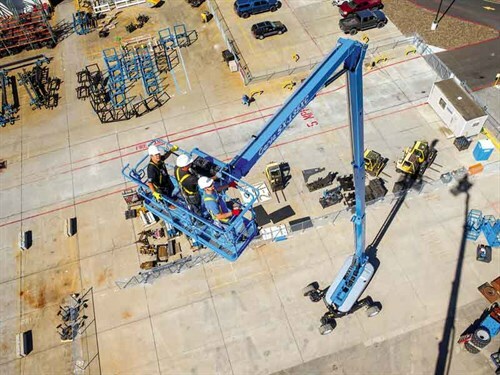 Built to safely and quickly lift operators to the full platform height of 41.15 metres in 2.5 minutes, the Genie SX-135XC boom lift will position workers and gear exactly where they are needed. 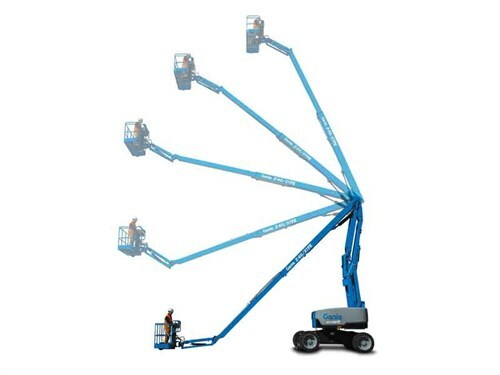 The Genie SX-135XC boom’s innovative design means that it offers a three-metre greater outreach than any other self-propelled boom on the market. 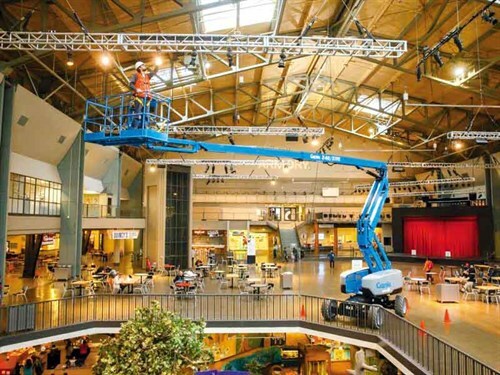 To accommodate the Genie SX-135XC boom lift’s increased capacity and range of motion, Genie engineers developed a new hydraulically Telescoping Jib-Extend design that’s robust enough to handle all of the up, over, out, and below tasks. When the job is done, the jib can be stowed under the primary boom for ease of transport. Designed with transportability in mind, the Genie SX-135XC boom features the new Genie mini XChassis™ axle design, which extends and retracts the axles. The Genie SX-135XC model offers dual lift capacity, giving the ability to work with up to three people on-board while still leaving room for tools and job site materials. Youngman Richardson & Co Ltd has always been committed to customer support and has the workshop facilities and a professional team of mobile mechanics to match. Purpose-built mobile service utes have been specifically fitted out to handle planned and unplanned maintenance across all equipment. More efficient workplace layouts have been created to improve service times, and the company’s reputation for its fast turnaround of parts is second to none. For more information on the new product range, contact Youngman Richardson & Co Ltd on 09 443 2436 or for South Island enquiries, call 03 341 6923.